WOTAN CITY, Lad. — The Office of the State Secretary has released the final citizenship numbers for 2016, and the corresponding numbers for every year of open citizenship enrollment since independence was declared in June of 1996, more than 20 years ago. These numbers reflect applications approved and do not reflect any births or deaths. 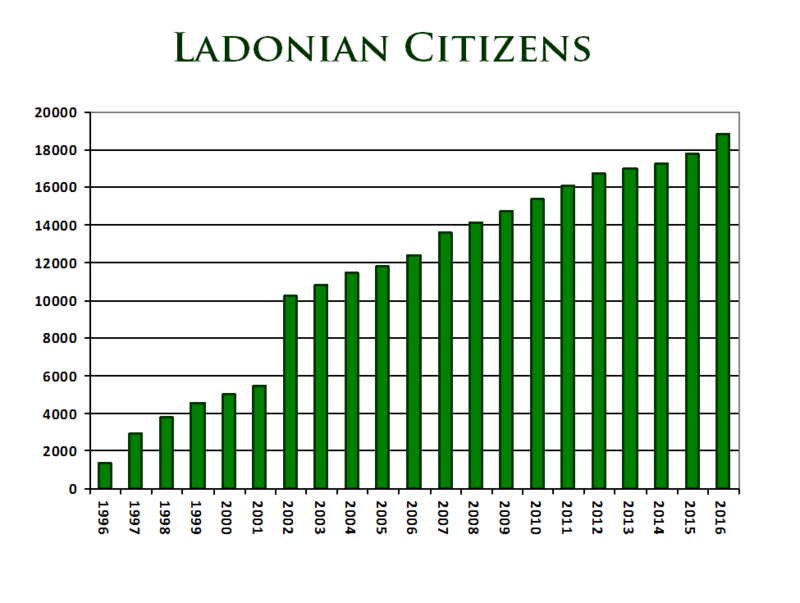 A chart of the total number of registered citizens of Ladonia since independence was declared on 2 June 1996 through the end of 2016. Numbers released by the Office of the State Secretary.